To see the latest TaylorMade golf clubs, please visit our TaylorMade drivers, TaylorMade fairway woods, and TaylorMade hybrid pages. TaylorMade's new R11-S series takes the innovative technology of the R11 to the next level with slight, yet significant improvements in adjustability and design. These new features provide more "tunability" for custom performance. 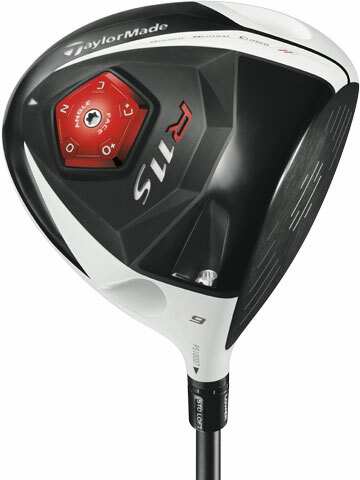 Buy the TaylorMade R11-S Driver Now! Like the R11, the TaylorMade R11S Driver follows TaylorMade's "3 Dimensions of Distance" concept. The first dimension is Loft: TaylorMade's Flight Control Technology (FCT) lets you adjust the loft by +/- 1.5° to achieve optimal launch angles. The second is Face Angle. This is where the R11-S driver really stands out. It has the same Adjustable Sole Plate technology (ASP) as the R11, but while the R11 gives you three face angle options, the R11-S gives you five (open, open+, closed, closed+, or neutral) at +/- 3°. The extra options give you customize your address with more precision. The third dimension is Flight Path. This is where TaylorMade's signature Moveable Weight Technology (MWT) comes in. First introduced with the R7 quad, MWT lets you adjust CG according to ball flight. More weight in the toe and less in the heel can promote a fade, while more weight in the heel and less in the toe promote a draw. With the five settings on the redesigned ASP, the MWT's three CG options, and the FCT's eight options, the three dimensions together give the R11-S an amazing 120 possible settings. Additional technical features include the Inverted Cone Technology (ICT) for enhanced ball speed on off-center hits and the CG-lowering Thick-Thin crown design. 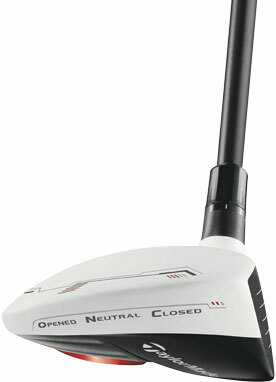 The R11-S Driver has the same glare-eliminating matte white crown and easy-alignment black face as the R11. The titanium 460cc head has an aerodynamic shape to help you make faster swings. 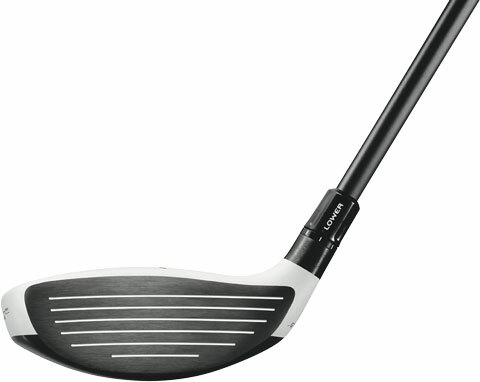 Buy the TaylorMade R11-S Fairway Wood Now! The TaylorMade R11S Fairway has many of the same features as the R11 fairway but the design has been fine-tuned for improved launch conditions. The breakthrough feature is the CG placement. The CG has been moved forward and slightly lower to reduce spin and create more distance. Other features include the +/- 1.5° adjustable FCT loft as well as the ASP face angle technology that allows you to customize the face to open, closed, or square +/- 2°. The FCT's eight options and ASP's three options give you 24 different face angle/loft combinations. With more options, the R11-S fairway gives you more control over accuracy and distance. As you can see, the TaylorMade R11-S Driver and Fairway offer a greater range of tuning options than the standard R11 line. This makes the R11-S the perfect series for the golfer who appreciates the innovations of the R11 but wants more precision. The adjustability of the driver and unique CG placement on the fairway are what make the R11-S the fastest and longest R11 ever.